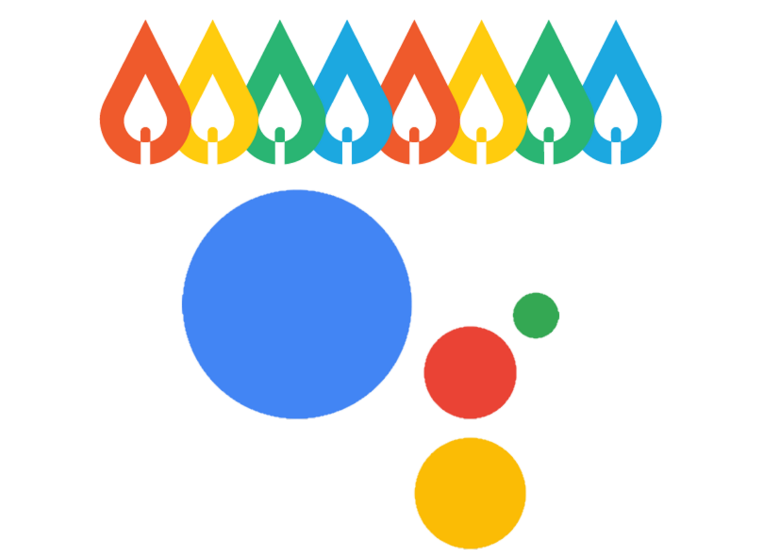 Hey Google, Ask Chabad How Many Candles Do We Light Tonight? It’s a familiar scenario for many Jews. Your hands are full as you’re rushing to bring in groceries before Shabbat ... but what time is Shabbat candle lighting anyway? Chabad.org’s wealth of Jewish knowledge and information is now available through the Google Assistant. In addition to Shabbat candle lighting times, you can learn what night of Chanukah it is, check the Hebrew date, get location-specific halachic times and even listen to a short lesson on the weekly Torah portion. These new features are available on more than 5,000 types of devices, including Android phones, Google Home smart speakers, cars, televisions, smartwatches, and even iPhones. All told, that represents over 400 million devices worldwide. During development of the Chabad Assistant (which was built with assistance from Josh Grinberg), the Google team got involved, tweaking their AI to help it better understand and respond to the proper pronunciations of Hebrew terms like Chabad and Chanukah, which use the guttural “ch,” which has no parallel in spoken English. This app is part of a new wave of virtual assistant applications that Chabad.org is in the process of developing for Google Assistant and Amazon’s Alexa. Recently, Chabad.org was chosen as an early partner for Amazon’s Alexa Donations, allowing users to leverage the Alexa platform to fulfill the mitzvah of tzedakah. Elan Karoll, an undergraduate at the University of Illinois at Urbana-Champaign, has been testing the app. Learn more or enable Chabad on your Google Assistant.